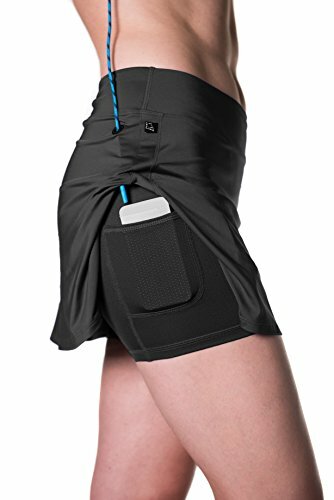 Purchase Skirt Sports Women’s Gym Girl Ultra Skirt, Black, X-Large at Discounted Prices ✓ FREE DELIVERY possible on eligible purchases. Our #1 best-selling skirt has been making women’s thighs smile since 2005! There is a reason that this skirt is consistently considered the best running skirt on the market. The 14″ lightweight skirt has two side slits for motion control and a sonic music port for easy headphone access. But the real power is in what’s under the skirt. The 5″ shorties hit your thighs at the perfect sweet spot so they stay put providing a chafe-free running experience you can’t find anywhere else! Fit note: The shorties of the Flyaway Print, Love Triangle Print, Black Wool, Ruby and Amethyst Gym Girl Girl fit more compressive than other colors.